Perseverance and a thirst for knowledge are two traits that have been a consistent part of Sarah Ruff’s ‘15 young life. 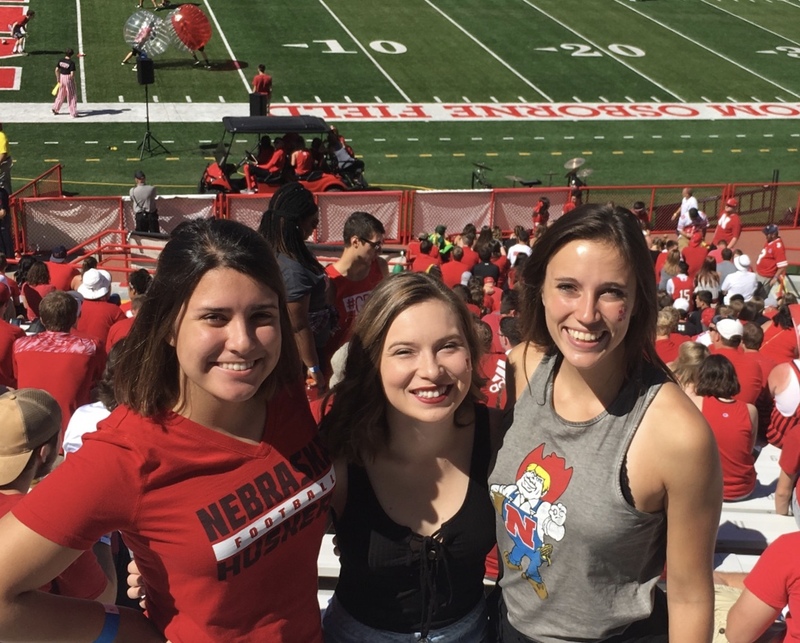 Despite severe epilepsy that started in the 8th grade, she graduated from Mercy and is finishing her degree in Journalism/Advertising and Public Relations at the University of Nebraska-Lincoln. While attending Mercy she was part of the Golden Girls, spirit club, and worked at a local grocery store. Her younger sister, Therese Ruff now attends the school. “At Mercy they not only helped with my studies; students and faculty and staff were always there to help you along the way. They helped me believe I could do anything, and I made friends for life,” she said. That belief has come in handy because of health obstacles that have tried to get in the way. She has always been intrigued by the political process and hopes to work on a newspaper writing about politics. She has had two major brain surgeries to implant electrical devices designed to counter the onset of her com-plex partial seizures and short-circuit them. She has undergone observation and induced seizures at UNMC and at Mayo Clinic in Rochester before placement of these devices to help guide the surgeons to the right spot of the brain. With her condition she cannot drive, but she is hoping to move to Minneapolis, which has a very good public transportation system. Unfortunately, she tends to wander during a seizure, unaware of her surroundings and sometimes crossing busy streets, walking through parking lots, leaving class and walking through campus, even dialing friends’ numbers and talking, but not realizing what she is doing. Her family is currently raising money for a service dog (at a $28,000 price tag) to help her keep safe and cope with these challenges. Although life has put obstacles in her way. Sarah’s spirit and tenacity will serve her well as she journeys forward as a Woman of Mercy.